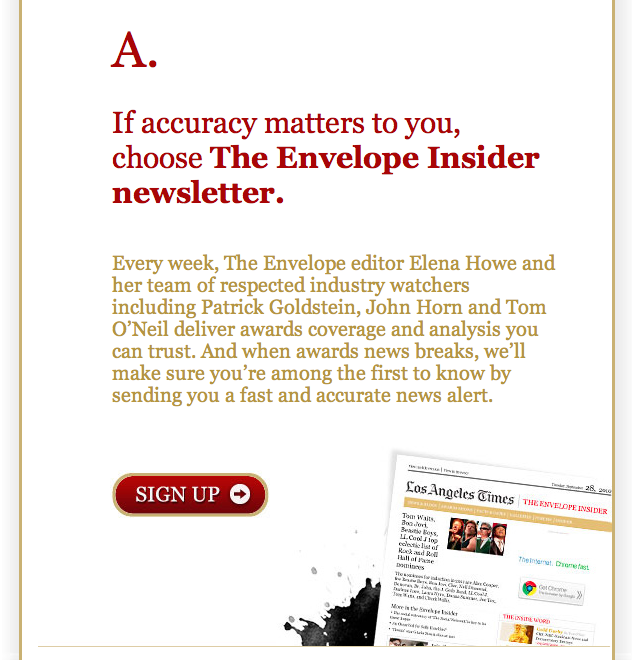 LA Times Declares War on "Rumors Spread by Bloggers with Axes to Grind"
The LA Times send out a newsletter today recruiting advertisers to the newsletter of The Envelope, which is (or at least should be!) 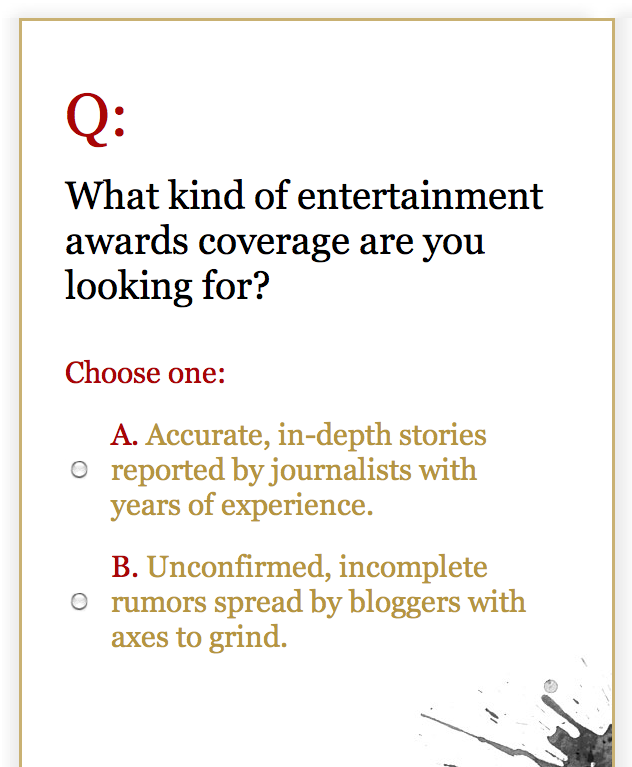 the intentionally gossipy, rumor-filled awards-show blogging fiesta at their paper. It seems so unlikely that this happened! And yet this is true. Here’s one thing you might know about the Hollywood awards show season. There is “news” when people win awards. The rest of it is… what do you call that stuff… I don’t know, the term escapes me now.